The simplicity of the menu and the concept is what I first came to adore about this casual little burger spot. Now they've branched out just a smidge, and are now offering house-brined grilled chicken and Portobella mushroom caps as proteins in addition to their stellar burgers. Chicken is brined in-house for an hour, then pressed on the grill. 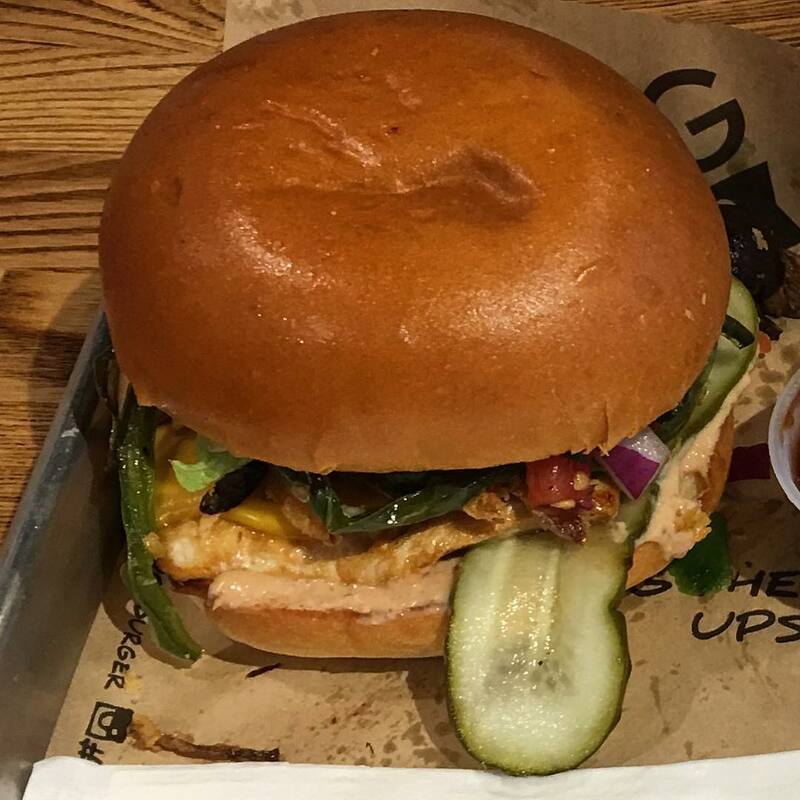 The chicken we tried was juicy and flavorful and goes wonderfully with all your favorite Dugg toppings! May I also recommend trying their new house bbq sauce. I sampled it on the side, but I think next time I'll try a grilled chicken sandwich topped with American cheese, fried onions, and this new awesome bbq sauce. Beyond the burger, Dugg also offers fries and drinks, including wine and local craft beer. For the sweet tooth in you, enjoy their hand-crafted milkshakes (made from local favorite Henry's Homemade ice cream), or their bread pudding make from the "dugg out" portion of the hamburger bun, and served in a warm gooey caramel sauce (an old family recipe).